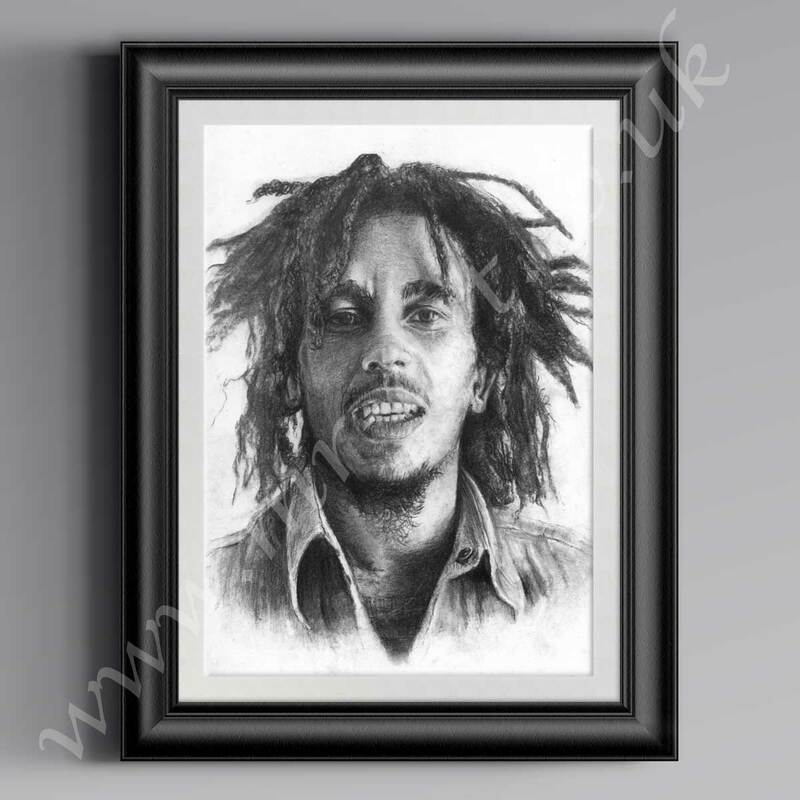 MR ART Bob Marley Prints avaialable @ Fantastic Value!! Robert Nesta “Bob” Marley, (6 February 1945 – 11 May 1981) was a Jamaican singer-songwriter and musician who achieved international fame through a series of crossover reggae albums. Starting out in 1963 with the group the Wailers, he forged a distinctive songwriting and vocal style that would later resonate with audiences worldwide. The Wailers would go on to release some of the earliest reggae records with producer Lee Scratch Perry. After the Wailers disbanded in 1974, Marley pursued a solo career which culminated in the release of the album Exodus in 1977 which established his worldwide reputation. He was a committed Rastafarian who infused his music with a profound sense of spirituality. He was the rhythm guitarist and lead singer for the ska, rocksteady and reggae band Bob Marley & The Wailers (1963–1981). Marley remains the most widely known and revered performer of reggae music, and is credited with helping spread both Jamaican music and the Rastafari movement to a worldwide audience.